Are you a business man or woman interesting in a great meeting venue in London? You can relax, as whatever building you choose for your conference it will certainly turn out to be a successful one. The majority of the meeting venues in this wonderful capital city are suitable for any taste, budget and purpose. Because London is recognized as an important financial hub all around the world, you can be sure to have access to the most professional facilities and impeccable business-oriented customer service. 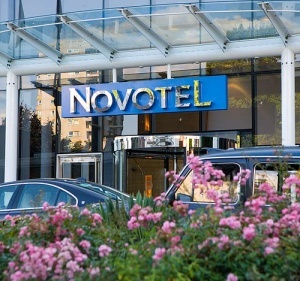 An example of a popular meeting venue is located in Novotel London West Hotel. This 4-star hotel presents more than 30 meeting spaces, appropriate for any number of people. Moreover, it is also an exquisite accommodation. Thus you can enjoy a great business accomplishment and relax afterward in your comfortable and modern room. Moreover, you can also take advantage of the nearby touristic attractions, such as the Kensington Gardens and the Hammersmith Apollo Theatre. In order to get a Heathrow to Novotel London West Hotel Transfer by rail there are three main options. First of all, you could take the bus from Heathrow Central Bus Station (five times/day), followed by a 9-minute walk. This journey will take about 34 minutes in total. The second option is a Tube from Heathrow Terminals 1-2-3 (every 5 minutes), ending with an 8-minute walk. This journey lasts about 38 minutes. You can also choose a bus from Heathrow Central Bus Station (every 30 minutes), ending with a 7-minute walk. This trip takes 48 minutes of your time. A Heathrow to Novotel London West Hotel Transfer by car can be done by taking the M4 motorway. Heathrow Airport is at a 13.2 miles distance from Novotel London West Hotel. This journey will take about 24 minutes, without including traffic. A Heathrow to Novotel London West Hotel Transfer with 247 Heathrow Airport Transfer is going to take about 34 minutes, including rush hour traffic. The price for a Heathrow to Novotel London West Hotel transfer starts from 32 GBP.